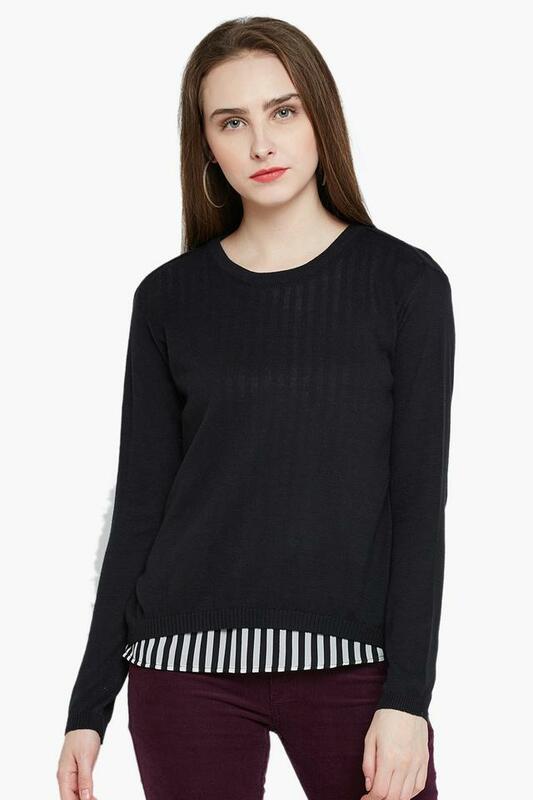 Sporty, chic and stylish, this sweatshirt is the one that will perfectly complete your look and make you feel warm. The brilliant solid pattern makes it trendy. The round neck along with full sleeves ensure a snug fit to the woman wearing this top wear.